NU Votes is a non-partisan initiative of Northwestern University’s Center for Civic Engagement, designed to provide the NU community with accessible and understandable information about voter registration and voting procedures. Working with partners across the university, NU Votes also serves as a resource to promote informed voter engagement throughout the Northwestern community. 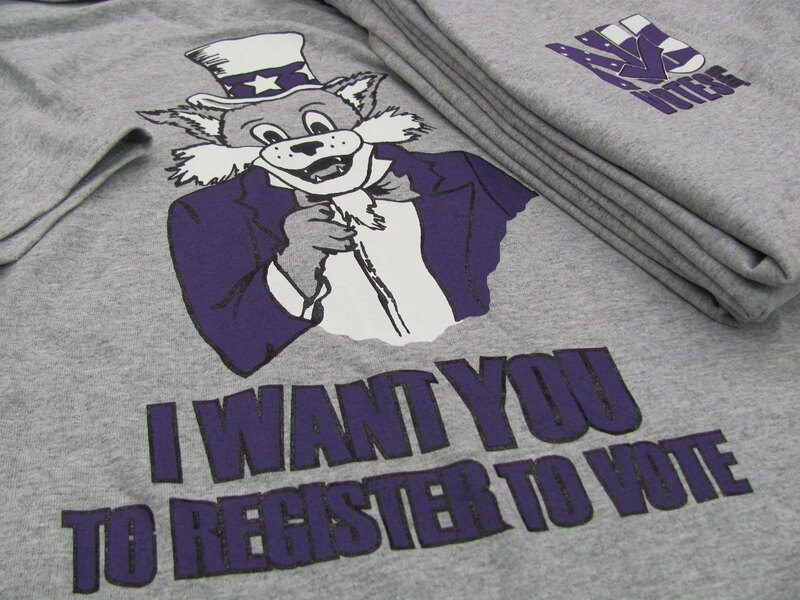 NU Votes has helped make Northwestern a national leader in collegiate voter registration. NU Votes has been featured in the New York Times and other national media, and was recognized in the Congressional Record of the 112th Congress. Starting with the 2016 elections, NU Votes has partnered with Vote.org to integrate 50-state voter registration and absentee ballot tools into NU Votes’ programs and services. The tools are designed to make NU Votes’ efforts to support 50-state registration and absentee ballot requests more accessible, understandable, and efficient. Click here to learn more about Vote.org. From quantum physics to musical theater to mechanical engineering, universities and colleges educate young adults about how the world works. And while there is no shortage of courses on politics, democracy and government, universities often lack an effective and comprehensive way to teach their students a very fundamental component of civic participation: how to register to vote. Young adults as a group tend to participate less in electoral politics than other demographic age groups. According to the latest U.S. Census, in 2010, 34% of 18-20 year olds reported being registered to vote, as compared to over 57% of adults 35-44 and 72% of adults 65 years and older. However, young people who are registered tend to turn out in fairly high numbers, similar to the rates of older voters. And once young people register and vote the first time, they are far more likely to continue to participate — a critical first step toward developing a lifetime habit of responsible civic participation. Colleges and universities can play a key role in helping students develop this habit of responsible, active citizenship earlier in their lives. In addition, having more engaged students help create a stronger culture of engagement on the college campuses themselves. But registering to vote is a complicated process in the U.S. Each state has its own processes, laws, and forms for voter registration and absentee ballot requests. And, as affirmed the US Supreme Court in 1979, college students have a legal right to register and vote either at their school address or at their permanent address. As such, the logistical challenges for colleges and universities to offer registration services for all 50 states are considerable — and can be overwhelming. NU Votes works to make 50-state voter registration as streamlined and accessible as possible for the entire Northwestern community — enabling students to register and start voting at the same time they are starting their college careers. Universities are bound not only by their educational and civic missions to promote voter registration, but also by federal law. The Higher Education Act of 1998 requires federally-funded colleges and universities to make a good-faith effort to distribute voter registration information to every student, and to make that information widely available on campus.